Summerlin Dental has the best dentists that provides affordable dental care, trusted advice, and convenient hours. At Summerlin Dental we provide comprehensive dentistry for your whole family, including general dental needs like checkups, teeth cleanings, crowns, and cosmetic dentistry. Years of experience and continued education help Dr. RJ Guideng and his staff provide state-of-the-art dental services. We listen to our patient’s needs and concerns and then explain all of the available options before proceeding with any treatment. At Summerlin Dental, our goal is improving the oral health of our patients by providing the best options for restoring or maintaining you and your family’s smile. Our mission is to provide every patient with the most convenient, highest quality, and affordable dentistry in Summerlin. Our dental office provides general dentistry and specialty dental services so we can ensure both children and adults are in capable hands. Our team listens to our patient’s desires and concerns in order to help them maintain a healthy and beautiful smile. 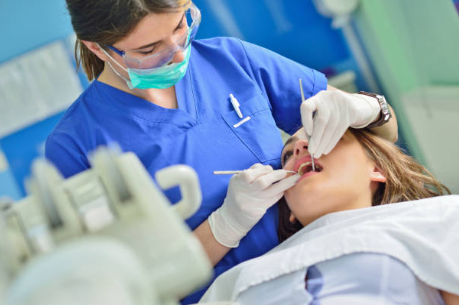 Oral Exam – It is recommended that you should see your dentist every six months for a teeth cleaning and check-up to evaluate the health of your teeth and gums. Oral health issues can be prevented if found before they advance further into an issue that requires expensive and more invasive treatments. Teeth Cleaning – A regular teeth cleaning helps patients clean those hard-to-reach areas that may have been missed. We also are able to clean plaque buildup which makes your mouth less vulnerable to tooth decay and periodontal disease. Bridges – Dental bridges close a gap that is created by one or more missing teeth. A bridge is a prosthesis (replacement part) that relies on support from healthy teeth surrounding the gap left by a missing tooth or teeth. Dental X-Rays – dental radiographs use controlled pulses of radiation to create images of the internal structures of the jaw and mouth. Dental X-rays are useful for dentists to evaluate your mouth and find cavities, bone or gum loss, and periodontal disease. We invite you to visit or call our office today to learn more about our dental services and schedule a visit with Summerlin Dental.